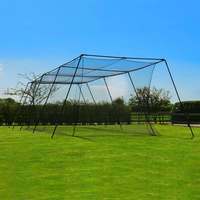 Super strong netting system for batting warm ups and fielding practice. 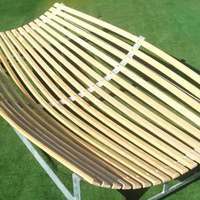 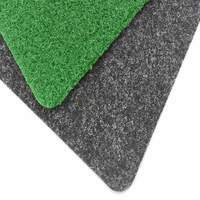 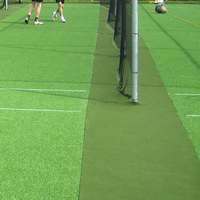 Available in lengths of 4m (13ft), 12m (approximately 40ft) and 20m (65ft). 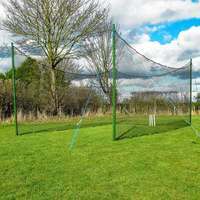 Cricket net and pole system for pre-match cricket warm-up practice. 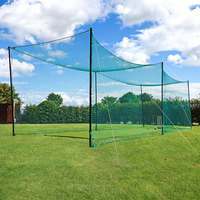 Ideal as a temporary batting net or as reliable backstop netting for fielding practice. 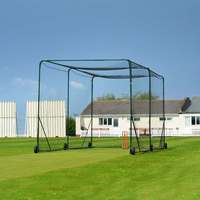 The system is easy to set up and can be used for many different cricket practice drills. 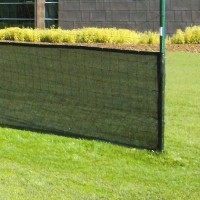 System is 2.74m (9ft) high. 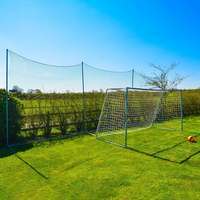 Package includes: netting, poles, guy ropes and steel pegs. 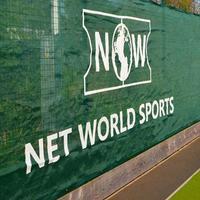 Heavyweight netting made from a 2mm thick HDPP twine with a 48mm (2”) knotted mesh. 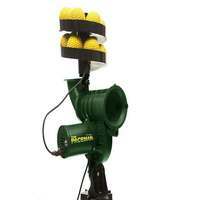 Can be set up by one person in minutes. 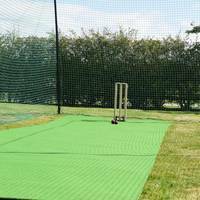 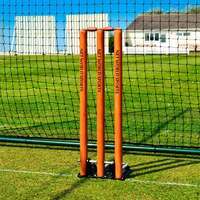 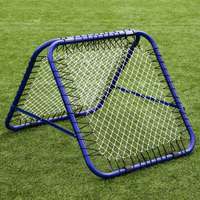 This versatile cricket net and post system is designed for outfield use and can be used for many different cricket practice drills including batting, bowling and fielding. 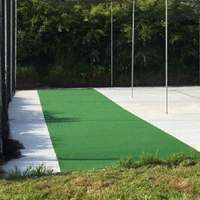 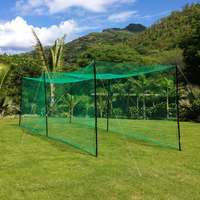 It can be setup in straight line to act as a boundary net for fielding practice or be transformed into a U-shape to create and enclosure net for batting practice. 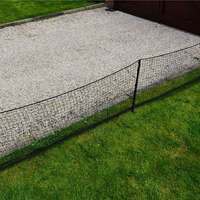 If you require a custom size or technical advice, please contact our sales team on 01691 683807 for friendly expert advice. 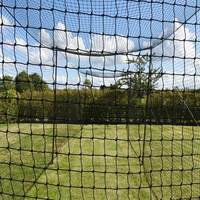 What is the diameter of poles in 'Cricket warm-up / throw-down practice net' system?